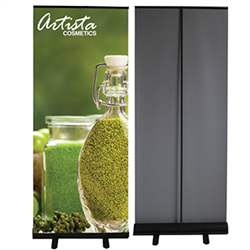 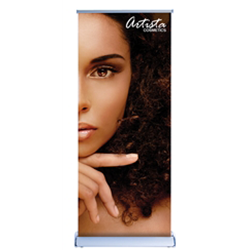 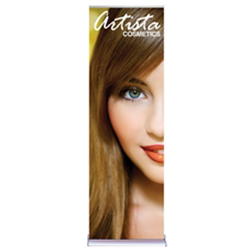 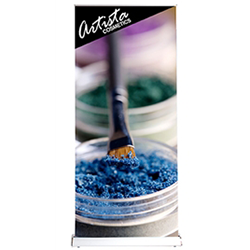 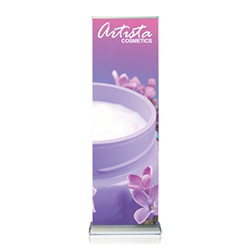 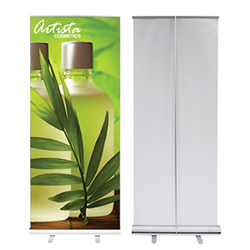 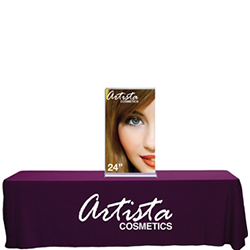 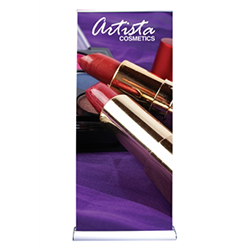 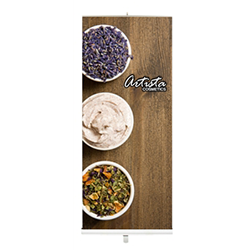 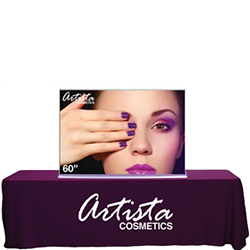 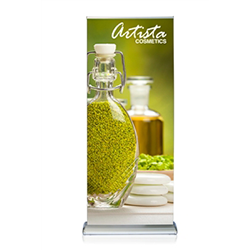 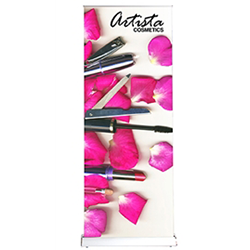 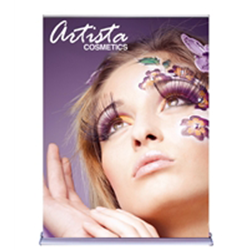 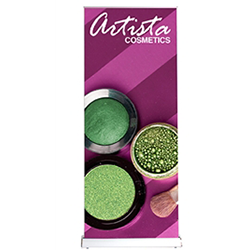 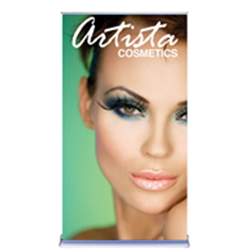 Step up your game with the Silverstep retractable banner stand. 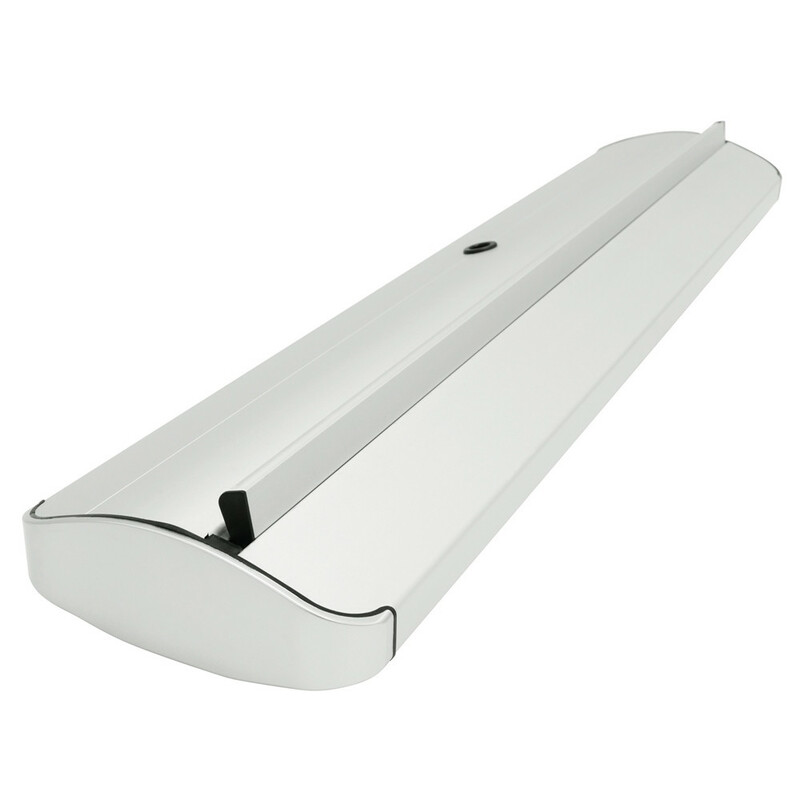 Uniquely designed to be durable, stylish and reusable, the Silverstep is a fan-favorite and perfect for any occasion. 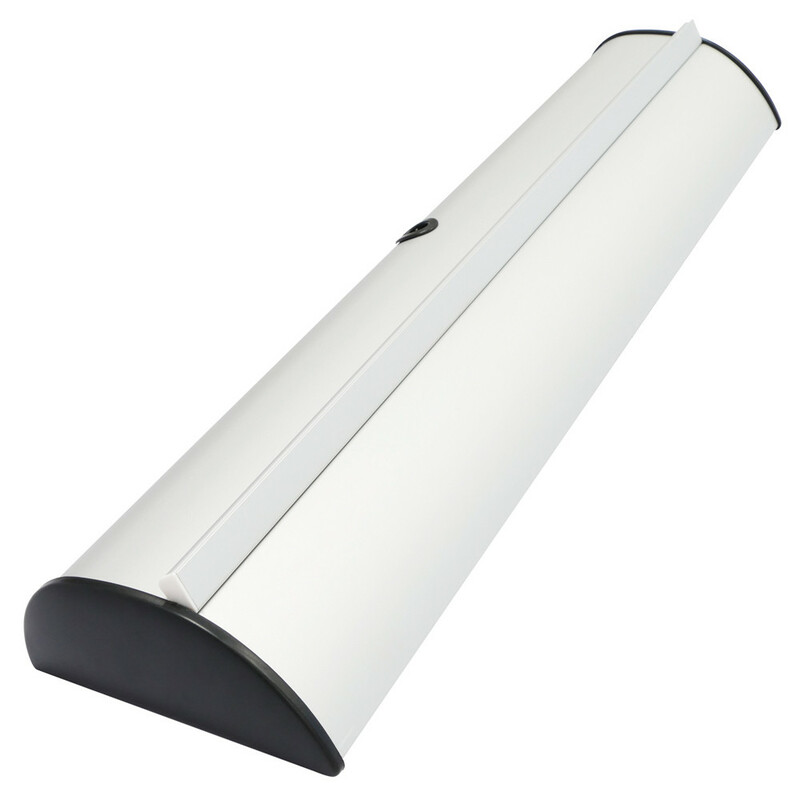 With 4 widths available and a telescopic pole, the Silverstep offers a wide range of dimensions. 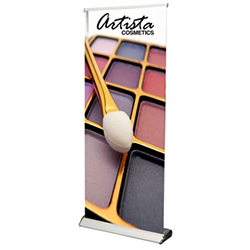 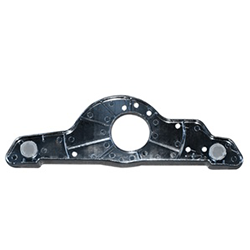 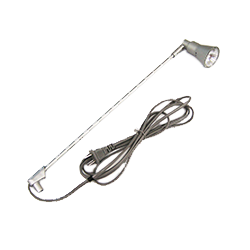 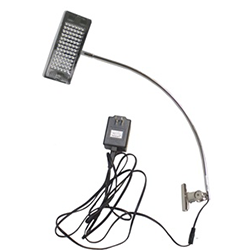 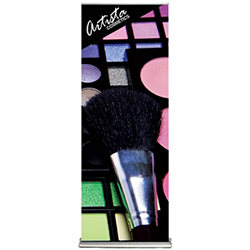 Place the base on the ground, assemble telescopic pole, pull out graphics and affix to pole. 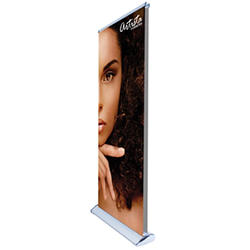 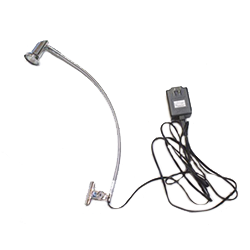 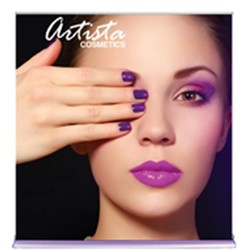 Graphics are easily changeable due to the hook and loop attachment on the canvas leader panel (with a 6″ bleed). 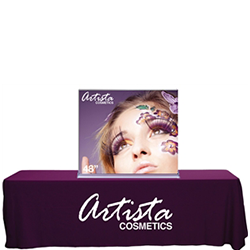 Deluxe travel bag included. 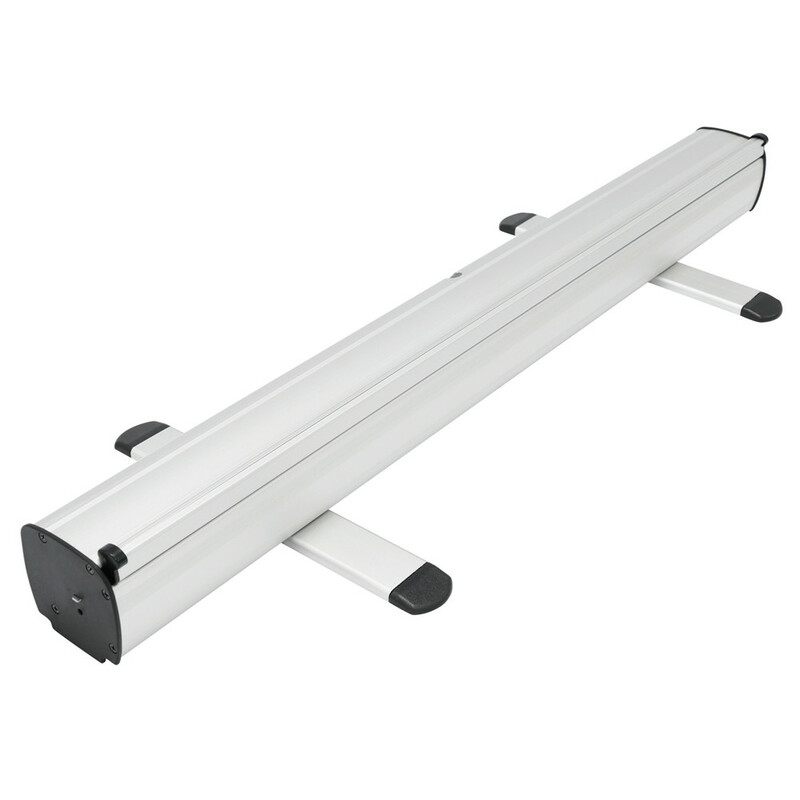 Lifetime warranty on hardware.